A guide to executive suites and office space for rent in Los Angeles as well as general information that may be useful if you are considering renting offices in the city. 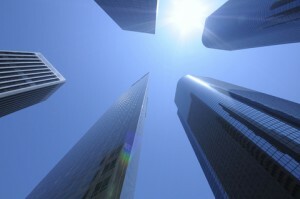 For further offices information or to search office space to rent in Los Angeles just click. Or contact us for any other query. Now one of the biggest and best-known cities in the world, Los Angeles’ inhabitants could be counted in the hundreds as recently as the early 19th century and the area was part of the Spanish Empire for much of its early history. Having come under the control of Mexican armies in around 1820s, the fledgeling city became the capital of Alta (upper) California and was on the winning side in the ensuing Mexican-American War. As with any city that springs up as dramatically as Los Angeles was able to during the 1800s, the City of Angels needed extensive infrastructure and engineering investment. Establishing rail links and water supplies were particularly crucial and massive developments were made to this end within just a few decades – a process helped and partially motivated by the discovery of oil in the area in 1892. With a population of around 100,000 by 1900, the city soon became the most important on the west coast and one of the most dynamic in the US and the world. During the 20th century, Los Angeles became a global center of international trade, technology and aerospace, and home to American cinema that was and still is being exported around the world from in and around the Hollywood hills. 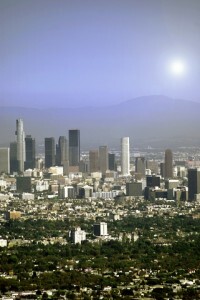 If any place on earth demonstrates the value of creativity it is surely Los Angeles, California. It is a Mecca for artists, writers, film-makers, dancers and entertainers of every sort possible and has been so for many years. 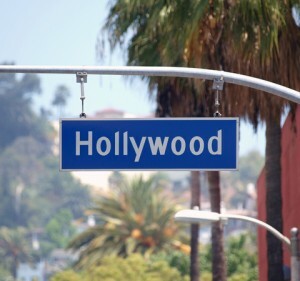 Hollywood is quite simply the home of moviemaking in America and the city has perfected the art of large-scale film production and distribution. As well as the conspicuous export of Hollywood blockbusters, the city is a hotbed of talent in other artistic areas, including everything from opera and classical music, to hip-hop and jazz. With roughly 14 million inhabitants as it went into the 21st century, Los Angeles was the heartbeat of the Californian economy and one of the most populous and economically active cities on earth. Millions more people live in the areas surrounding the city, which help to make the state as a whole one of the largest economies in the world and a source of strength for the American economy. The areas covered by the Los Angeles authorities stretch out over more than 1,000 square kilometres that are famously bisected by the hills of the San Fernando Valley and by the Los Angeles River, which flows from the mountains to the Pacific Ocean at Long Beach. There’s no doubting that the financial capital of the US is over on the east coast in New York, where the bulk of America’s great banking institutions have their headquarters, but LA has been a serious player in the sector for decades and continues to be the home of the City National Bank and the Capital Group among others. Another major contributor to the Californian and the American economy is the international trade that heads in and out of its Pacific coastline. All manner of foods, goods and pharmaceuticals are shipped out from the local port but it is trading on its status as the entertainment capital of the world that really defines the economic advantage California has been able to maintain. And it isn’t just the movie business in which Hollywood excels. It is one of the leading producers of huge-selling television series, computer games, recorded music, luxury brand fashions and cosmetics. There are millions of square feet of office space to rent in Los Angeles and much of it is currently available at worthwhile rates as a result of the dip in demand seen across America in the wake of the financial crisis of late 2008. 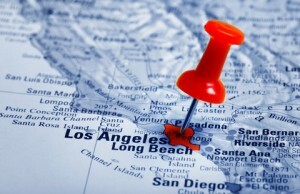 It has been a tough and generally conservative few years for commercial real estate investors on the west coast but CB Richard Ellis recently revealed its assessment that office space markets in Los Angeles, along with those in other major American cities, are close to the bottom of their respective rental decline cycles. CBRE, which is headquartered in its own area of Los Angeles office space, reported that the percentage of office vacancy across America fell in the third quarter of 2010 for the first time in close to three years. The relationship between the tourism industry in Los Angeles and the culture of the people who live there is an obscure one from any angle. Most visitors go away happy having seen the extravagant Hollywood veneer that we all know about but the greater LA area is one of the most culturally diverse and interesting regions of the world. All of which feeds into its localised cultural identity, if not necessarily that which is broadcast on television or makes it to the ‘big screen’. In any case, there are plenty of good reasons to visit LA and why it is one of the most attractive and lively tourist destinations in the world. When it comes to beautiful beaches, golf courses, vineyards, restaurants, shopping districts, nightclubs, playhouses, movie theatres, spectacular weather and a general air of excitement, there are very few places that can touch Los Angeles or the Californian countryside. There are buses, trains and subways running right across the LA landscape but it would be difficult to recommend them as an easy and efficient way of navigating the city. The best way is to get around is undoubtedly by car because the city is based around its road networks and can be a bit unforgiving for pedestrians or cyclists. Arriving in the city is thankfully far more straightforward than getting from one side to the other, with Los Angeles International Airport currently accommodating tens of millions of passengers each year. 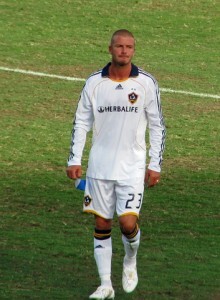 Even with the arrival of David Beckham at the LA Galaxy football team, soccer remains a minority sport in the US, with the old favorites like baseball, basketball and American football taking precedence for the most part. Basketball, in particular, is a passion for millions of sports fans in LA, with the Lakers have been the most successful team in America over the course of the past decade or so. The Dodgers are the principal baseball team in the city and they’ve won the World Series on six occasions, though not since 1988. Somewhat incredibly, however, there hasn’t been an NFL American football team in town since the mid-nineties but you’d have to think it is about the only thing that LA doesn’t have. Los Angeles has a vast selection of business travel accommodation options and we have partnered with Booking.com to bring you all of these in one place.